The Council on Education in Public Health’s (CEPH) new foundational competencies include a focus on the ways structural racism, bias and discrimination affect public health practice, and many schools of public health have made statements about the importance of diversity in public health training. Yet, according to research published Nov. 8 in Pedagogy in Health Promotion, the majority of CEPH-accredited schools of public health have room for improvement in this area. 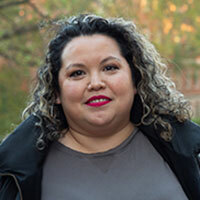 Study author Yesenia Merino, doctoral student in health behavior at the UNC-Chapel Hill Gillings School of Global Public Health, analyzed content on the websites of the 59 schools that were CEPH-accredited in 2016. Her aim was to understand the schools’ efforts in diversity, inclusion and equity. Merino conceptualized the research through the lens of historical racism. She noted that “diversity” often is used as code for the presence or absence of people of color and that a campus climate inhospitable to people of color is related strongly to exclusion. She analyzed mission, vision and ideals statements; objectives, goals and strategic plans; diversity statements and plans; and other information available on the schools’ websites. The study did not initially define the terms “diversity,” “inclusion” and “equity,” as part of the purpose of the work was to determine how the schools themselves defined the terms. Merino found that one-third of the schools’ websites did not mention diversity, inclusion or equity as a central tenant, and 20 percent did not mention having strategic goals or plans related to the these elements. Only 12 of the 59 schools defined diversity, and all but one of those defined diversity by providing lists of people considered to be diverse, rather than shaping a formal definition. Measures of success typically included recruitment of faculty, students and staff from historically underrepresented demographic groups, with less emphasis on retention of faculty, students and staff. Merino, a native of Washington, D.C., has a personal interest in increasing understanding about the ways health professionals contribute to structural racism. Before coming to graduate school, she worked for a decade in the field of public health. Together with health behavior alumna Leslie Adams, PhD, Merino is a co-founder of the Carolina Grad Student F1rst Program, through which the UNC Graduate School provides opportunities and resources to support first-generation graduate students’ academic success. Merino’s dissertation includes mixed-methods research on the ways Master of Public Health (MPH) students see their role as public health professionals in relation to communities of color. She also examines the institutional ethnography related to the process of redesigning the MPH core at the UNC Gillings School. Merino’s dissertation adviser is Geni Eng, DrPH, professor of health behavior.